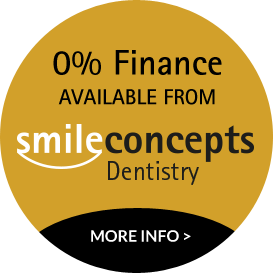 Here at Smile Concepts, in Solihull, Birmingham, you can take advantage of our smile makeover treatment, which is a wonderful process in which you can have your smile transformed by way of a range of treatments. Whether you want to achieve a Hollywood smile or are hoping to achieve a more natural look, a smile makeover can be tailored to your specific needs. The treatment you choose for your smile makeover can range from having a single veneer applied combined with tooth whitening, to having a full mouth reconstruction with treatment like dental implants. The choice is yours and no others. A smile says a lot about a person and is one of the first things people notice when they meet someone else, and it is our passion to make sure your smile is the best it can possibly be. If you don’t like getting your picture taken, hold your hand over your face when you smile, have unsightly silver fillings, or have discoloured teeth, a smile makeover could be the choice for you. Whatever your desires our helpful team will examine your smile in terms of shape, aesthetics and function, in order to ascertain the best possible smile makeover for you.